Keeping your office material and documents close at hand may not be the most crucial task in today’s office, but it is always important to keep your workplace organized. Choosing the right cabinet or shelving as a storage unit for your office depends on a variety of factors. In this blog, we’ll help you find the best solution for your office storage needs. First, you’ll need to take into account the type of items that will be stored. For lightweight office equipments such as pens, toner cartridges or post-it notes, a simple laminate storage cabinet alone is usually sufficient. If you store heavier supplies such as reams of paper or water bottles for office water cooler, a heavy-duty steel storage cabinet will better meet your needs. 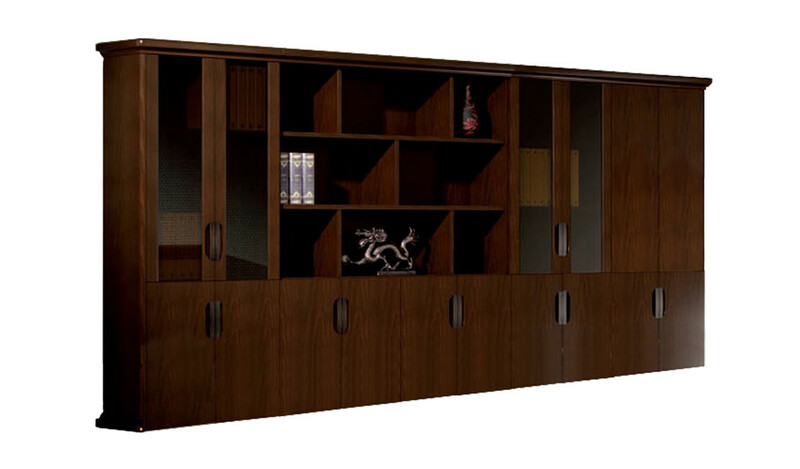 Boss’s Cabin is one of the best office furniture manufacturers who offer high-quality storage cabinets for all your custom requirements. 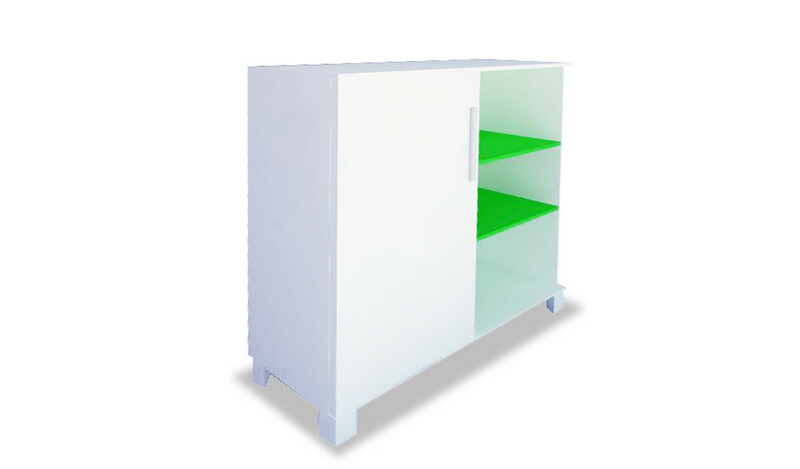 Wall storage cabinets help to keep seldom required or extra office supplies out of your way. They are easily accessible and the products that you store on or in them remain safe. If the items to be stored are of higher value, such as computers and peripheral equipment, at Boss’s Cabin you’ll be well served to pick a cabinet with a locking mechanism for security. Plan where to keep your storage cabinet. If it’s going into an area of the supply chamber or store room, you can probably ignore the look and select a basic metal storage cabinet. 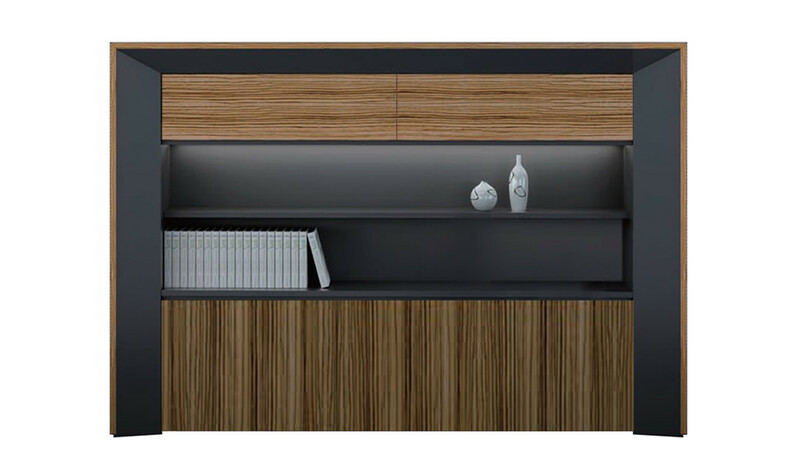 However, if the cabinet will be placed in high traffic public area, you might consider a more aesthetically pleasing wood-grain laminate for lightweight loads, or a premium solid wood cabinet for heavier supplies. Both laminate and solid wood cabinets have a much more attractive and welcoming look than painted steel cabinets. Another factor to take into consider is how often will you be retrieving supplies from your storage cabinet. If constant access is important, and you just need to store basic office supplies, you may not need a storage cabinet at all, but an open shelving unit. Cabinets with doors keep stored items clean but also out-of-sight. Open shelving is useful for large bulky items and items on open shelves are easy to see. While you give up the security of a closed cabinet with open shelves, the ease of access to frequently needed items may make open shelves a better choice. Another advantage of open shelving is its affordability – open shelving is generally much lower priced than a locked storage cabinet of similar size. There are many types of storage cabinets available. For offices that need plenty of storage space, filing cabinets are a must. You need to make a list of all the things that would be stored in the office and decide how to store each item type. Office storage systems should be purchased only after the preparation of a good layout / distribution plan of office area. However, choose the one that best suits your office requirements and space.